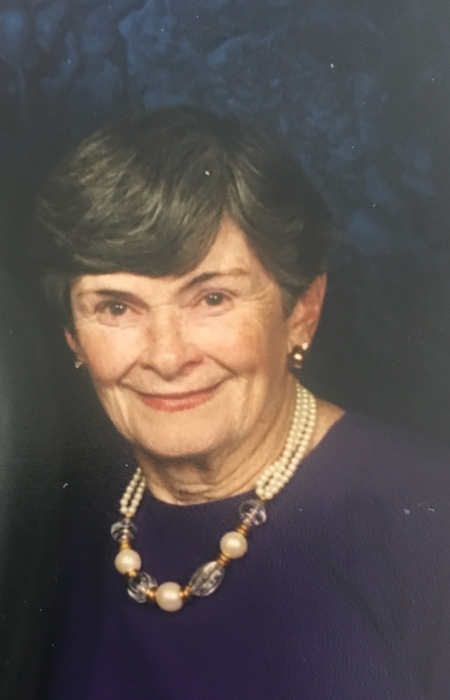 Mary F. (Moriarty) Boudreau of Newton passed away peacefully in her sleep at her home on Mar 28, 2019. Born in Cambridge, July 22, 1920, she was the beloved daughter of John “Jack” and Mary Moriarty, and sister of John Jr. “Jackie”, Bill (Theresa), Eleanor Burns (Bill) and Ed (Anne). A graduate of Cambridge High and Latin, she married Walter Boudreau, settled in Newton and summered in Hull. She raised six children Walter “Gil” Jr. (Denise) Ellen, Marie, Jack, David (Sharon) and Paul (Cathy). She was predeceased by her parents, brothers Jackie and Bill, sister Eleanor, husband Walter and son Jack. She was the proud grandmother of 8 Gil, Marc, Greg, Katie, Daniel, Ben, Patrick and Darby and great grandmother of 11. She worked for N.E. Telephone for 20 years, was treasurer of Catholic Daughters, distinguished member of the Silver Haired Legislature, volunteer in the Newton Mayor’s office, active golfer in the Fresh Pond Golf League until age 91 and a regular at the Newton Senior Center until recently. Visiting hours will be in the Eaton & Mackay Funeral Home 465 Centre St. Newton Corner on Mon Apr 1 from 4-8 PM. Her Mass of Christian Burial will be celebrated on Tues at 10:30 AM in Our Lady Help of Christians Church, Washington St Newtonville followed by interment in St. Joseph’s Cemetery West Roxbury. CareGroup Parmenter Home Care and Hospice Inc.